The most recent projections describe a situation in which it is unlikely the party will win a single seat. It's time to admit that the Bloc Québécois will probably disappear on Oct. 19. The most recent projections describe a situation in which it is unlikely the party will win a single seat. With less than 15 per cent of voter intentions, the Bloc is not in an enviable position. And the way things have been going the past few weeks hasn't offered any hope at all. 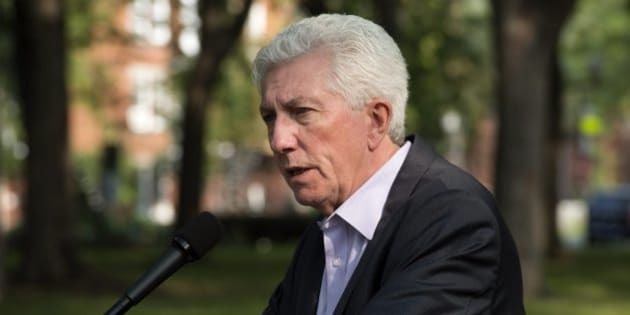 Even if Gilles Duceppe's return to the party helped a little, the effect was short-lived. According to our projections, the sovereignist party currently has a chance of winning in only 15 ridings — but in 11 of these, their chances are less than one per cent. Duceppe is one of these candidates. So, a win is possible, but it would require either that the polls be way off or that a strong local candidate has an effect. The best chances are in Bécancour–Nicolet–Saurel, where a potential defeat of Louis Plamondon would be very symbolic. He has been an MP under the Bloc banner since the party's first election in 1993. In 2011, he just barely survived the orange wave. Now, he has only a 26 per cent chance of winning. There is also Gaspésie–Îles-de-la-Madeleine, where the new electoral map works somewhat in the Bloc's favour. But chances are still slim at only 25 per cent. In Avignon–La Métis-Matane–Matapédia, Bloc candidate Kédina Fleury-Samson has a chance of winning, but it all depends on the effect of Jean-François Fortin's campaign. He is the incumbent, but he left the Bloc and started his own party, Forces et Démocratie. There is almost no chance he can carry the riding again, but he may take enough votes from the Bloc to give Liberal Rémi Massé or New Democrat Joël Charest the win. Finally, Richmond–Arthabaska has one of the few four-way races in Quebec. In fact, any of the four major parties has a chance in this riding, even if the Liberals are in last place. So that makes four ridings where the Bloc has a slim chance, although probability is not on the side of the party in any of them. So the question is, what is the future of the Bloc if no candidates are elected? Here are a few scenarios. 1) The Bloc remains a political party and presents candidates next time round. This remains a likely option. But it will mean a party that is much less important than it is now. We're talking about a smaller budget, presenting candidates in only a few ridings, etc. An invitation to any leaders' debate would also be unlikely. I say this is a probable option because a party that has been around since 1993 and has sometimes dominated the Quebec political landscape does not disappear so easily. And the option it supports — Quebec sovereignty — remains an important issue for a good number of Québécois. 2) The Bloc disappears, and a new sovereignist party is created. As I mentioned before, sovereignty is not dead in Quebec. While the electorate in the province does not seem particularly keen on discussing it right now (clearly shown by Pauline Marois's defeat last year), there is still a significant percentage of voters who would like to see Quebec become a country and would not be opposed to a referendum soon. At the provincial level, Québec Solidaire was quite successful as a sovereignist party. This could mean that it is not so much the message that is a problem, but rather the messenger. 3) The Bloc disappears, and nothing replaces it. In that case, the NDP should congratulate themselves. The rise of Thomas Mulcair's party in Quebec during this campaign already has a lot to do with the Bloc's descent. If you look at the numbers for Bloc voters' second choices, 40 per cent would choose the NDP, while more than 30 per cent would stay home. In that case, the NDP would very likely obtain more than 50 per cent in Quebec and could hope to win at least 70 seats. There is still time for Duceppe and the Bloc to reverse the trend, but the party is now fighting for survival, rather than hoping to become once more the No. 1 federal party in Quebec, as was the case only five years ago.